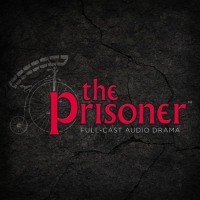 Exciting news has reached The Unmutual Website that Big Finish Productions, best known for their highly regarded and highly polished "Doctor Who" audio dramas, have been granted the licence to produce official "Prisoner" audio dramas. Released in January 2016 the audio series is yet to be cast, but it will have not only a new score but also will be written and directed by Big Finish’s co-executive producer, Nicholas Briggs, who announced on their website ‘The Prisoner has been a great love of mine for many years'. The audio set is available for pre-order from the Big Finish Website HERE. As always, TUW will bring you more news as soon as it is announced. Update: 11th March 2015 Nick Briggs of Big Finish interview HERE. With thanks to Anthony Rooney and Geoff Lake for this news item.